In the high-stakes world of Hamptons real estate, people tend to go it alone. The conventional wisdom is that to get ahead, to provide a white glove touch, and to ensure consistent service, there’s nothing like the personal attention of a single agent or broker. Just about everything has the multi-connotation word “exclusive” attached to it. According to Babcook and Baron, they’ve been able to do so in such a short period of time because they offer a white glove approach to their clients that not only gets results, but also gets high marks for satisfaction from the process. This activity has made them industry leaders and placed them squarely at the front of the pack in terms of marketing, including social media. Chances are you’ve seen “Hamptons Luxury Agents,” their team moniker, and one that truly represents their partnership. 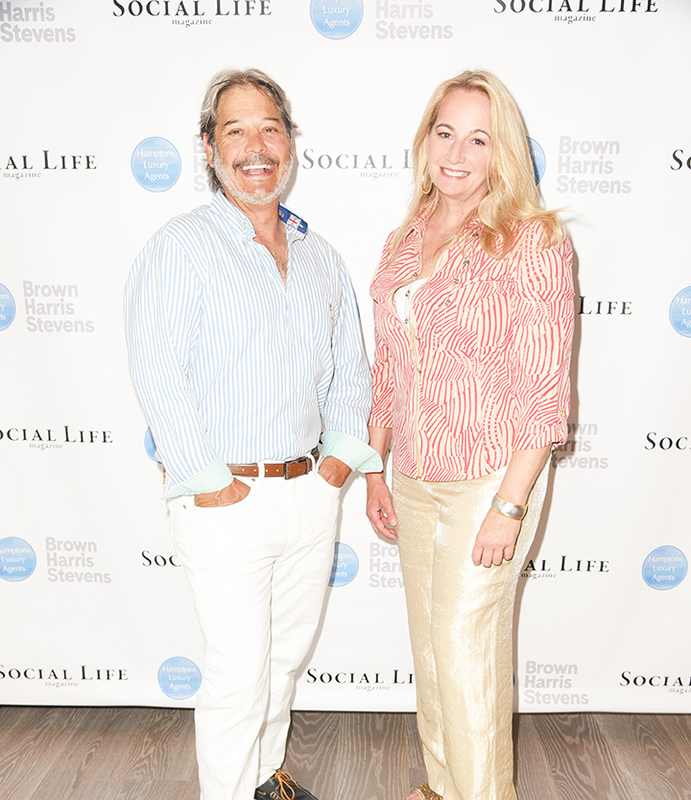 “We are now being approached by multiple agents throughout the Brown Harris Stevens network to join our team so that we can offer clients the best referral base no matter where they are purchasing their home on the East Coast,” says Baron, pointing out hot spots like Miami, Palm Beach, the Hamptons, and New York City. The pair has established strong connections, particularly in New York and Florida, that will expand their reach and create even more value for their clients by putting their listings front and center in some of the most affluent markets, including Europe. That being said, Baron and Babcook are known for their one-of-a-kind listings, ultra prestigious properties that can’t be found anywhere else. Among them is Sag Harbor’s 238 Main Street and 43 Suffolk Street. “These are extraordinary properties and don’t adhere to the normal pricing principles, but are still getting great response,” says Baron. Despite all the success, one thing that also sets apart Baron and Babcook is their down-to-earth approach — they are genuinely excited to get back into the swing of summer and, in particular, to partake in the activities that really give them their fuel. For instance, Babcook, who is well known for her connections in the equestrian world, is also an avid cook and boater. Her love of the water is the perfect downtime to explore the scenic beauty of the area, whether fishing, sailing, clamming, or paddle-boarding.